If your teeth are loose, broken, or severely decayed, and your dentist is unable to repair them with fillings, root canals, or other treatments, a dental extraction may be your best option. 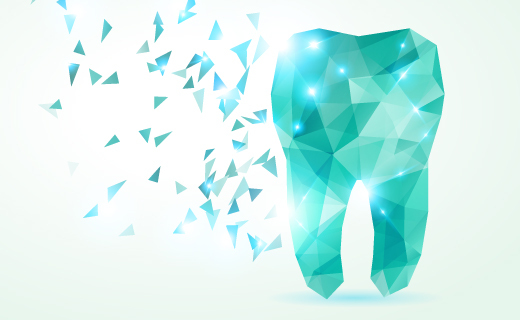 Tooth extractions may also be necessary for other reasons such as when primary teeth don’t fall out on their own, wisdom teeth become impacted, or severe dental infection prevents a person from receiving an organ transplant. Simple dental extraction is the removal of teeth that are visible in the mouth; this is performed with the help of tools called elevators and forceps. Surgical tooth extractions are more complex and involve making an incision into gum tissue. Preparation for Dental Extractions Before your extraction, your dentist will perform x-rays. Before wisdom tooth extractions, a full panoramic x-ray is needed to determine the position of all internal structures that could be affected by the surgical procedure. If you have an infection, a weak immune system, or certain medical conditions, your dentist may prescribe antibiotics to be taken before or after surgery. Never smoke on the day of your surgery, and inform your dentist if you have become sick with a cold or gastrointestinal illness. Follow your pre-surgery instructions carefully. Pain Control During Surgery Most affordable dentists can perform a simple dental extraction using a local anesthetic injection. If you are nervous, you may be offered an oral sedative or conscious sedation. Surgical extractions may require general anesthesia or deep sedation. In addition to pain relief medicines, you may receive steroid drugs to help reduce inflammation. If you feel any pain during your procedure, tell your dentist immediately. After Your Dental Extraction You will probably experience some mild discomfort. Take your prescribed pain medications as directed. Some bleeding is also expected. Ice packs can relieve pain and swelling. Never spit or use a straw within the first 24 hours of a dental extraction; this can dislodge the newly formed blood clot and may cause a painful condition known as dry socket. The use of medicated dressings can help relieve dry socket symptoms. Call your dentist or oral surgeon if pain, bleeding or other symptoms increase or persist after several days. To get the dental care you deserve from an affordable dentist in Atlanta, call today at or make an appointment. Dental One Associates offers affordable family dentistry and gentle, compassionate dental care in Atlanta. With 8 affiliated practices throughout Georgia, our offices are conveniently located with extended hours to meet your needs. At , we provide most dental services, from basic preventative care and general dentistry to specialized procedures and complete dental reconstruction. We accept most dental insurance plans and offer affordable financial solutions for any budget. Patient satisfaction is our top priority and we strive to provide the exceptional, affordable dental care and personal touch that lead to lasting relationships. A smiling patient is our greatest reward and we look forward to keeping those smiles healthy, beautiful, and bright. Discover an affordable dentist who truly cares at .